Terry Freedman suggests ten things you can do to help leaders in your district understand how edtech really benefits students. 1. Create an exciting atmosphere for the students you teach. You want them to be eager to come to class and to talk about what they’re learning. 2. Make sure there is lots of kids’ work up in your classroom, and, crucially, outside your classroom for passersby to see. Update the display every few weeks. 3. Create a team of digital student leaders who can assist other students as well as teachers. If they have a great-looking pin, t-shirt, or nametag to wear, people will know who they are. 4. Start a weekly blog, written by students. 5. Raise awareness and stimulate discussion by having your students conduct occasional staff surveys on an edtech-related topic (e.g. whether they are worried about identity theft). 6. Set the bar high for your students. Students tend to rise or fall to the level of their teachers’ expectations. 7. Get parents involved and, even better, engaged. How about running some free classes on keeping their children safe online, or a Python, Scratch, or HTML taster session? 8. 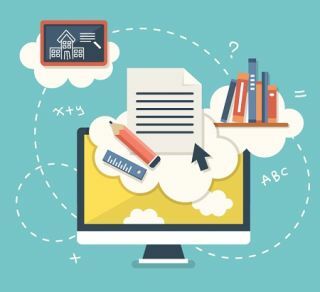 Write a monthly or quarterly report for your principal or superintendent detailing what has been going well in edtech and what else you could accomplish if you had even more resources. 9. Produce a quarterly newsletter describing the skills the kids have been learning that intersect with other disciplines. For example, if they’ve learned how to use spreadsheets for modeling or drawing graphs, that will be helpful for math and science teachers to know. 10. If you have a computer lab, make it inviting. Bear in mind that nature abhors a vacuum. If you don’t talk about the edtech in your school then someone else will—and they might not be so positive about it. By building up goodwill towards edtech and improving communication you can effectively enhance both education and understanding.